Go to MARKETING > Shopping Feed. Click on a website you want to add to your shopping feed. 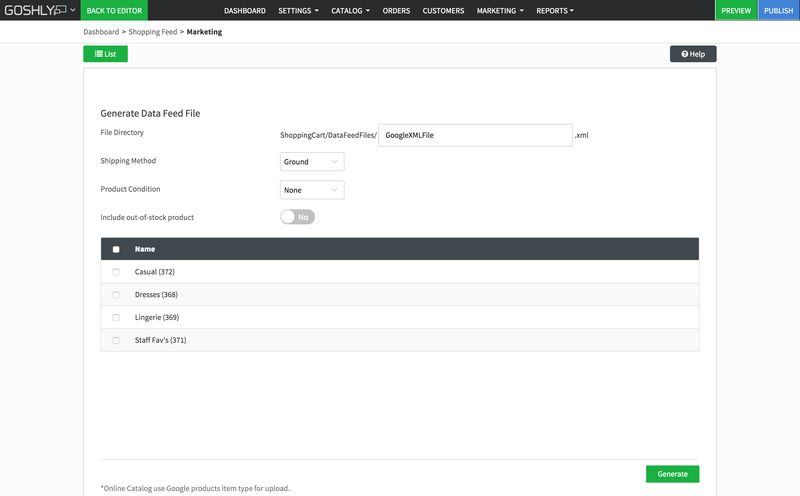 Adjust any settings, such as shipping method and choose the product categories you want to include in the shopping feed. Repeat for all websites that you want to include into your shopping feed.